This space of mine has been quite for quite sometime now. If this virtual kitchen has been quite then it hasn't been the same in my real kitchen. I have been cooking like crazy since the past few days. I even got to capture a few of them. But somehow the uploading and editing part took a back seat. It was only since the past week that I started uploading and editing the photographs. I hope to post regularly from now on. I think my love for avocados is not a secret anymore. I just love avocados. Be it in smoothies, in sandwiches, in desserts or with tortilla chips. I simply love them. Did you know that Avocado is an extremely unique fruit. This is because, unlike other fruits, it has more good fats than carbohydrates. 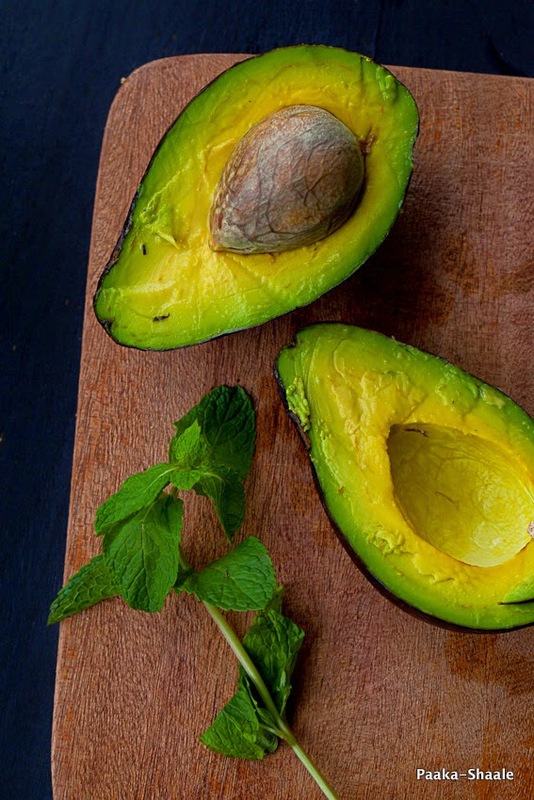 Avocados are rich in Vitamin C, Vitamin K, folates, potassium, Vitamin B5 and B6. This antioxidant rich fruit are said to extremely beneficial for arthritis, and said to improve vision. It is said, that avocados are said to prevent certain kinds of cancer. 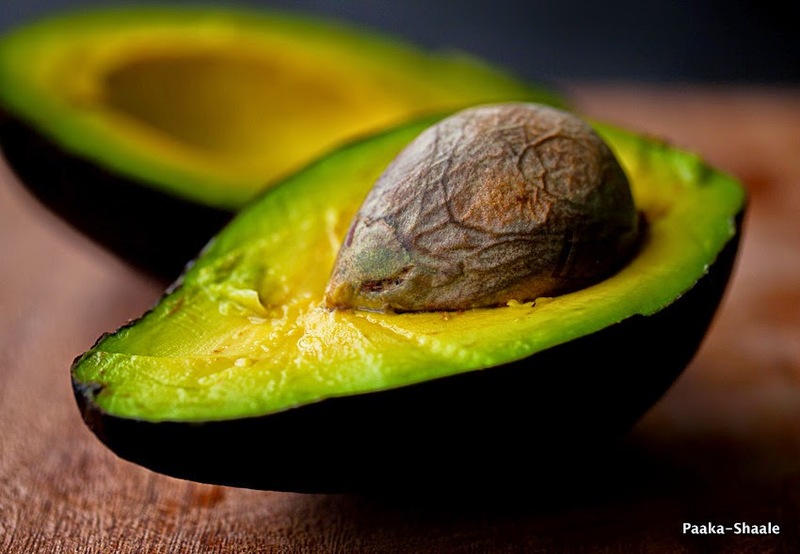 It is even said that avocado extract helps to reduce the side effects of chemotherapy. Now, what's not to love about this wonder fruit. The rich creamy texture of this fruit makes it easy it to incorporate in many dishes. I have myself included this fruit in sweet as well as savory dishes alike and each time they turned out delicious. This fleshy fruit can be a great substitute for cream, cheese and mayonnaise. As mentioned earlier I have used avocados in a number of dishes. But somehow I had not tried combining it with Pasta. So I decided to make a pesto with the avocado along with some mint and the little cashew meal that was waiting to be used up. The result was simply phenomenal. The creamy pesto was filled with strong flavors of mint and there was also the zing from the lemon juice. 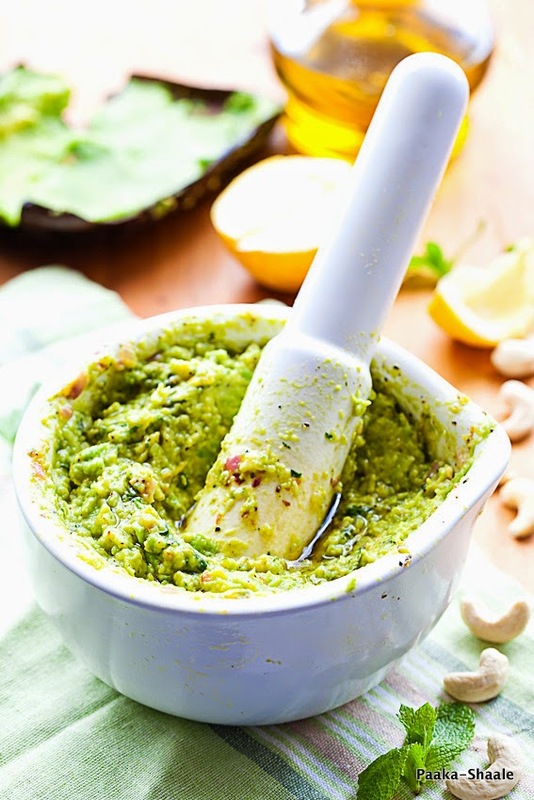 The cashew meal added a mild sweet taste to the pesto. 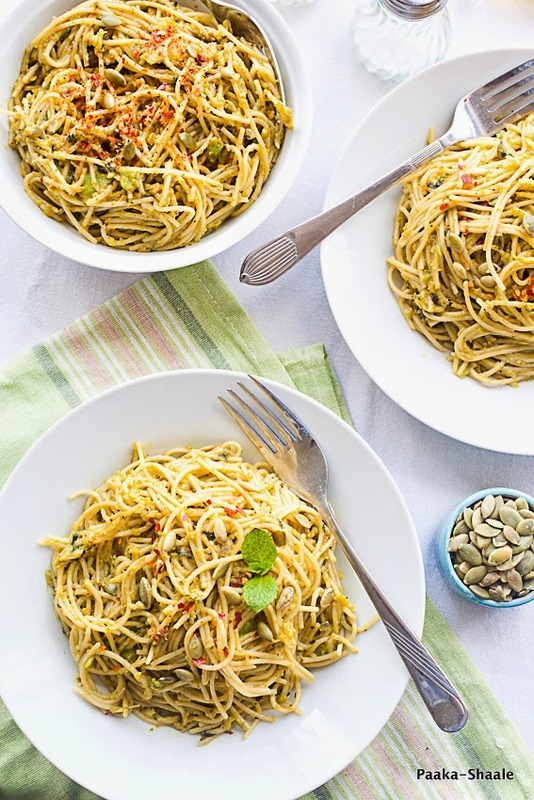 This dish is super simple to make and without a doubt, add a healthy boost to your plate. Pepitas- 1 tbsp, toasted and cooled. 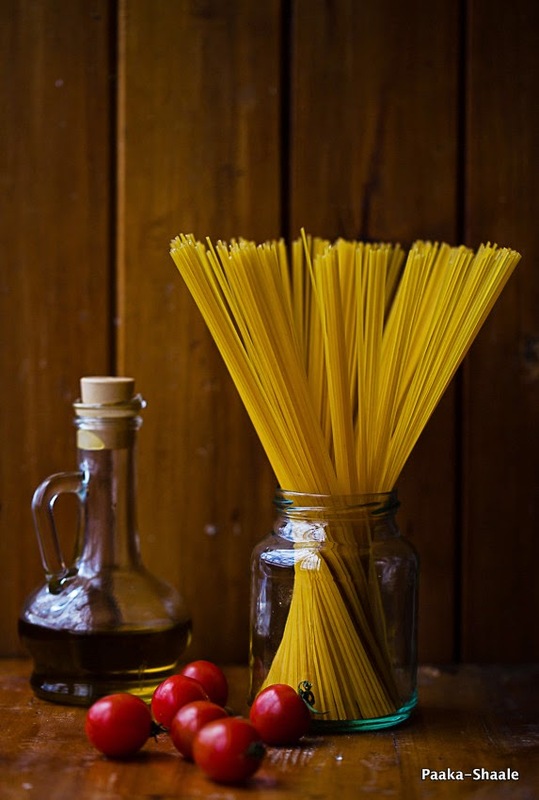 Cook the spaghetti along with 1/2tsp of salt and a tsp of olive oil in enough water. Drain and reserve half cup of the stock and set aside. To make the pesto, heat olive oil in a pan and add the chopped onion and garlic and sauté till they turn brown and tender and keep aside. Combine the avocado flesh along with the lemon juice, mint leaves, cashew meal, pepper powder, salt and the sautéed onion and garlic in blender jar or a mortar and pestle and grind till smooth. 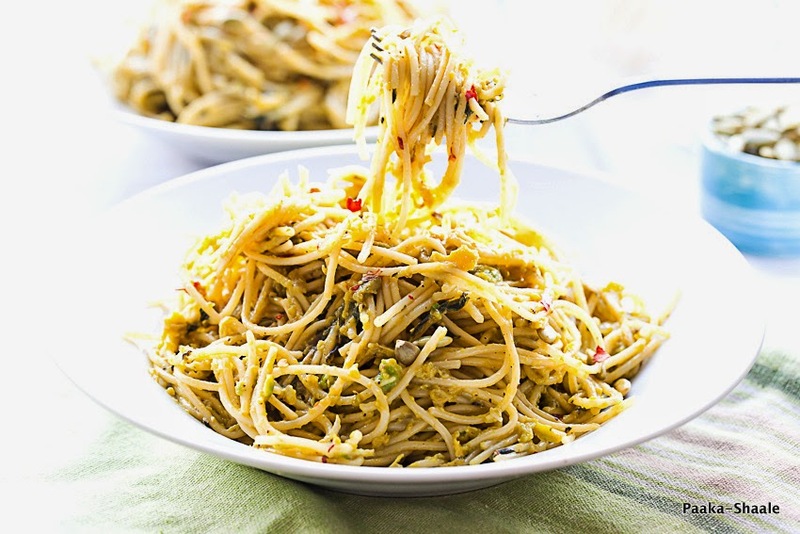 Pour the prepared pesto over the cooked spaghetti and toss well. Add the chili flakes and pasta water only if required and mix well. Garnish with toasted pepitas and serve immediately. To make the cashew meal, toast about 8-10 cashew nuts in pan. Cool completely and grind in a blender to a slightly coarse powder. Store in airtight container till further use. My preparation time was slightly longer because I ground the pesto in a mortar and pestle. 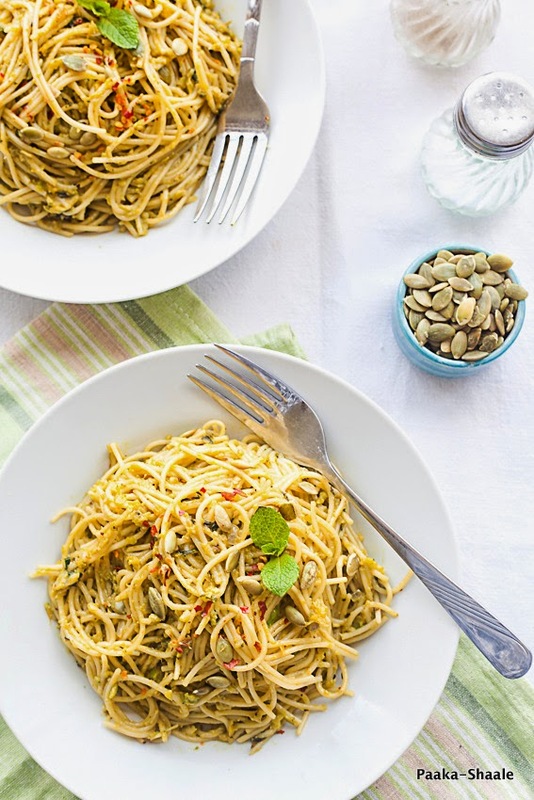 It will not take you more than 10mins if you make the pesto in a blender. 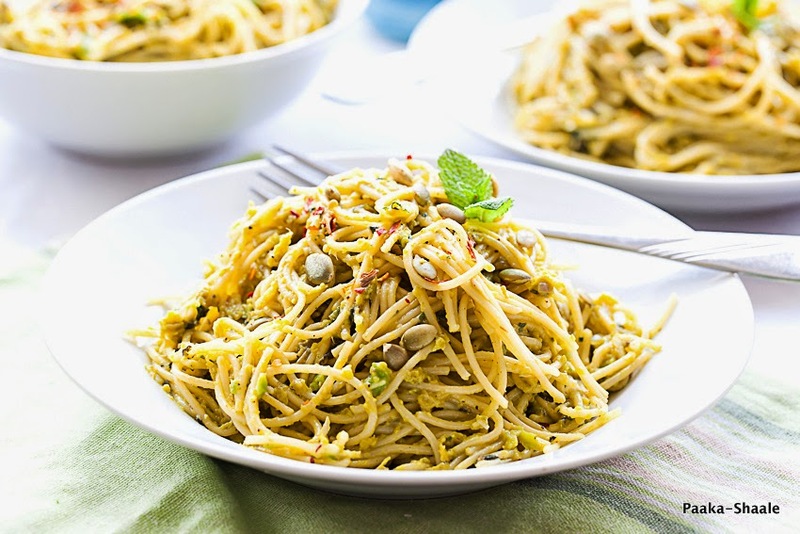 Beautiful images, mouth watering pesto . Love it ! Love the way you take the pictures. They look so beautiful!! 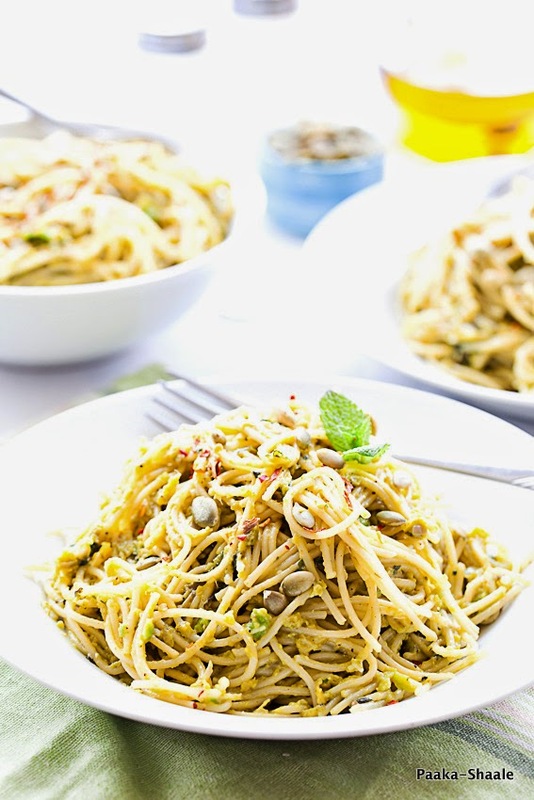 Pesto looks amazing..
A gorgeous dish and perfect pictures which make me want to have it now. Hope you had a great weekend! Beautiful Beautfiul Pictures !! Specially the first spagetti plates and the still life !! I seriously am loving this pesto! !